Orders ship in 1-2 days. Dimensions: 21"W x 16 3/4"D x 16"H. 14 Lbs. Made with 8 slatted resinwood slats. The entire ottoman is made from 100% recycled resinwood slats. Available in cedar, gray, green, red and white. 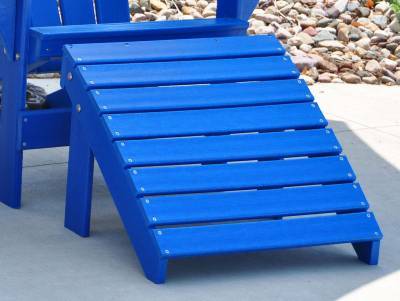 This traditional Jayhawk Plastics Ottoman was built to provide the ultimate in comfort and may be used with any of the recycled plastic Adirondack Chairs. Maintenance free with UV stabilizers to protect against fading. 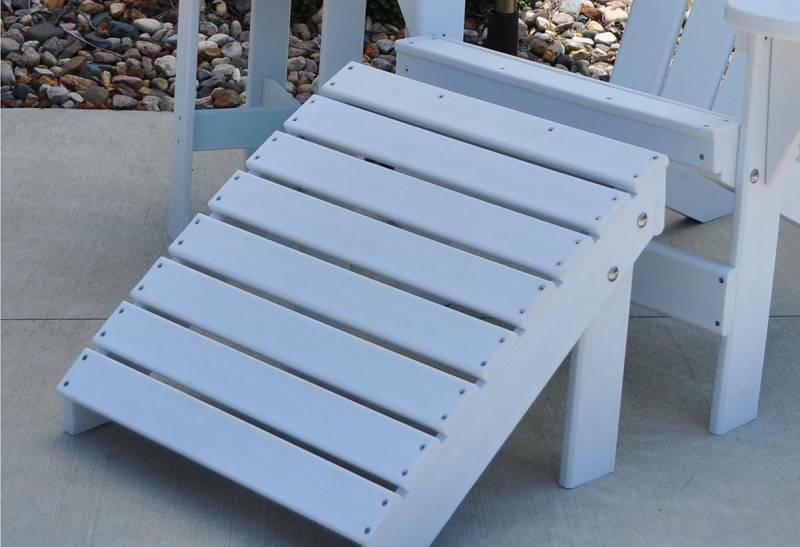 The entire ottoman is made from 100% recycled plastic resin wood slats making the ottoman maintenance free. The entire product is UV stabilized to protect against fading. The hardware used is Marine grade stainless steel, an industry first! Recycled plastic good for the environment. Recycled plastic saves trees and reduces landfill usage. Many forms of post consumer waste, such as plastic milk jugs, are the main ingredients in our ecodurable, long lasting Recycled Plastic Material. 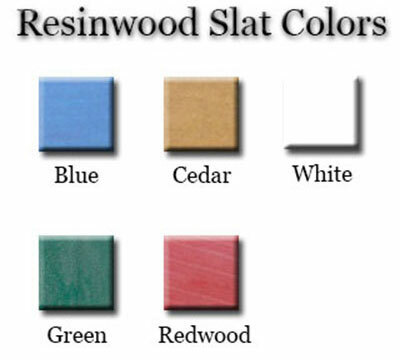 Quality recycled plastic does not need to be sealed, painted or stained and cannot rot. The proprietary coloring process seals in color and is uniform throughout the material with the introduction of our unique UV Protection Phase and ensures the beauty of the plastic well beyond wood, metal or expanded steel. 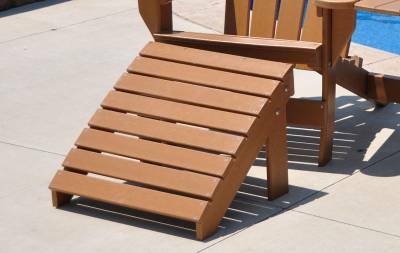 Our Jayhawk Plastics are designed to be placed in service and left alone. Maintenance departments love the ease of recycled plastic! Quality recycled plastic is extremely durable. Pens and markers can be washed off. Paint will not bond to the surface and is easily removed with sand paper or scratch paper. Surface cuts and scratches can be simply ironed or sanded away. The sheer weight of many of our products makes it difficult for them to walk away. The surface or in-ground mount kits offer even more security for our products. Recycled Plastic Products are becoming the way of the future. Today’s demand for Recycled Plastic Site Furnishings is on the rise while furnishings made of traditional materials like wood, metal and expanded steel are on the decline. 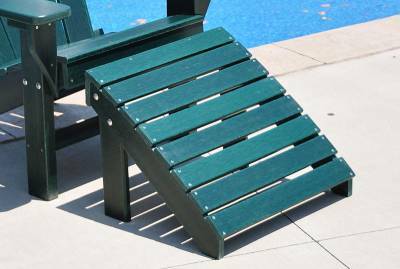 Adding recycled plastic furniture to your park, business or project lets your community know you are taking steps to help preserve our earth’s resources.